Support regional and national initiatives including higher public funding for further, adult, offender, and higher education and research and provides a clear vision of how such provision can benefit society and the economy. To approach the Labour shadow education team for a full discussion on how a non-competitive, planned higher, further and adult education sector could be created. To instruct the NEC to devise a joint further and higher education national campaigning strategy to defend the sectors. A national demonstration and lobby of parliament to oppose the HE White paper. A solidarity national demonstration in June/July over job losses and victimised reps at London Met University. HE Sector votes for action over summer, with further action short of strike (ASOS) and rolling strikes in the autumn, to win our pay claim to end the gender pay gap and casualisation. FE Sector votes to oppose Area Reviews and for a national ballot if our pay claim is not met for £1 per hour, ending the gender pay gap, ending casualisation and for the Living Wage. Support for the Convoy to Calais and Stand up to Racism National Conference in October. A national demonstration of Conservative Party Conference in October in Birmingham. Congress recognised the new trade union laws are unjust and unfair and therefore supported a motion that UCU will support any trade unions who are targeted for defying the anti-trade union laws. *The annual UCU Congress is the supreme policy making body of UCU. Congress is composed of elected delegates from UCU branches. Sector conferences meeting are held to determine policy for Higher and Further education including Prisons, and Adult Community Learning. Motions and amendments are discussed and voted upon. Following Congress motions are passed to the elected National Executive Committee and it’s subcommittees for implementation over the year. United in defence of Post-16 Education. UCU Congress was held in Liverpool this year. We met against the threat of further marketisation of post-16 education via Area Reviews, the TEF and the ‘Excellent Education Everywhere’ White Paper. Key themes this year included ending casualisation and closing the gender pay gap. We also met against the backdrop Trade Union Bill. This is the biggest attack on the trade union movement for generations. The Tories have huge problems. They are deeply divided over Europe and tearing themselves apart. The context of the EU referendum, a crisis for refugees entering Europe fleeing war and poverty and the strikes and mass protests in France against attacks on workers’ rights. Since congress last met Jeremy Corbyn won a landslide victory to become Labour leader by supporting a new movement opposed to austerity and racism. One of the themes of conference is how we unite the new industrial resistance in health and education with that movement and leaders like Jeremy Corbyn and Natalie Bennett. Congress discussed motions on campaigns in education and health by EIS, BMA and the NUT. There is a new wave of resistance to austerity among public sector unions. EIS have just won a brilliant victory with a 33% pay rise for their lowest paid members. The NUT is balloting to resist academies and attacks on conditions. The BMA Junior Doctors dispute to oppose imposition of a new contract and in defence of the NHS found widespread popular support. A collection of congress delegates raised £400 for the PCS Museum workers on all-out strike in Wales. The Higher Education Sector Conference voted for a plan that included further strikes and actions over the summer and into autumn. The Further Education Sector Conference voted for a national ballot if the demands of our pay claim are not met. We are now in a position to involve the whole of UCU’s 100,000 members in united action to defend post-16 education, and to unite with the wider movement in opposing austerity and marketisation. There were key motions passed overwhelmingly opposing the Prevent agenda. This included working alongside other trade unions and students to oppose the Counter-Extremism Bill. A bill that targets Muslims and threatens all our civil liberties. Congress heard how anti-Muslim hate crime was rising since the attacks in Paris. Sally Hunt spoke alongside the Vice Chancellor of Kingston University, Julius Weinberg, in an official fringe meeting against Prevent. Equality: Refugees are welcome, no to racism, anti-Semitism and Islamophobia. The number of refugees who have died fleeing conflict and poverty has risen sharply. In the last week 700 refugees drowned in the Mediterranean because of racist immigration policies. UCU pledged it support for refugees in a series of motions. Congress voted to affiliate to Stand up to racism, support the national conference in October and support initiatives like the Convoy to Calais initiated by People’s Assembly, Stand Up to Racism and the CWU. UCU pledged £500 to sponsor the Convoy. We encourage UCU branches to actively support this initiative and invite speakers in to report back on how they can help refugees. Stand Up to Racism organised a fringe meeting with speakers including: Malia Bouattia, NUS President. Dan T Lewis, Labour Councillor for Sefton and CWU rep. Mandy Brown, an Esol teacher and NEC member, who had joined the trade unionists 4 Calais visit. Dave Muritu, the Chair of UCU’s Black Members Steering Committee and NEC who also visited the Calais refugee camp to set up a summer school. A motion calling for all equality reps to be able to fully participate and attend the annual equality conference was debated and lost. This was important to maintain a safe space for those with protected characteristics to self-organise within the union. You can view a video shown at congress initiated by UCU Black Members’ Standing Committee, ‘witness’ chronicles the lived experiences of UCU black members in post-16 education. There were a number of motions on Climate Change. This reflects a growing movement among NGO’s, trade unions and young peoples for Climate Justice and Jobs. One motion called for branches to launch campaigns to call on their universities and colleges to divest from investment in fossil fuels. Congress passed important motions of international solidarity and to protect academic freedom. These included motions on TTIP, Treatment of international staff and students, solidarity with academics and teachers in Turkey, the campaign for Justice for the murder of Giulo Regeni, and Scholarships for Palestinian and Syrian students. A motion was passed defending Palestinian academics Professor Imad al-Barghouthi and Omar Bargouthi, a founder of Boycott Divestments and Sanctions movement (BDS). A Grande Parade motion on Palestine and BDS was won but ruled out of order. A motion supporting Jeremy Corbyn and the Stop the War Coalition from smears and attacks in the press was also passed. Congress made a number of impressive mass solidarity selfie photos including for political prisoner Dr Miguel Beltran imprisoned in Columbia since 2009, the Truth for Giulio Regeni Campaign and Solidarity with UCU London Met. A motion of support for the Shrewsbury 24 campaign was passed too. Congress gave Sheila Coleman from the Hillsborough Justice Campaign a standing ovation for her powerful and inspiring speech. The second Hillsborough inquest found football supporters were unlawfully killed due to failures of the police. Football supporters were not to blame. The families continue to press for justice and against the lies and cover-ups. In the wake of the Hillsborough inquest there are calls for information to be released as to how the police operated against Miners at the Battle of Orgreave. The HE sector passed important motions about how it will organise to resist the White paper, the TEF and win their pay claim. Higher education members have taken two days of successful strike action themed on ending the gender pay gap and casualisation. The strikes were popular with members. UCU HE agreed to take more action over the summer and agreed ASOS and rolling strikes in the autumn in pursuit of their pay claim. It was noted at conference that external examiners continue to resign from their position on exam boards. The HESC voted for a further one day strike in June or July allowing each branch to select a date which would have maximum local impact. Branches that have not yet selected a date could opt for the 5th or 6th of July to strike alongside the NUT who are taking national action at that time. A motion was passed calling for UCU to lobby SNP, Green, Plaid Cymru and Labour to support an Early Day Motion on against the White Paper. A motion was passed calling for a national demonstration and lobby of Parliament on the HE ‘Excellent Education Everywhere’. Opposition to performance management and associated metrics was widely felt, with Newcastle University’s current fight against the implementation of research funding and publication targets declared a dispute of national significance. There were important equality issues concerning the TEF. 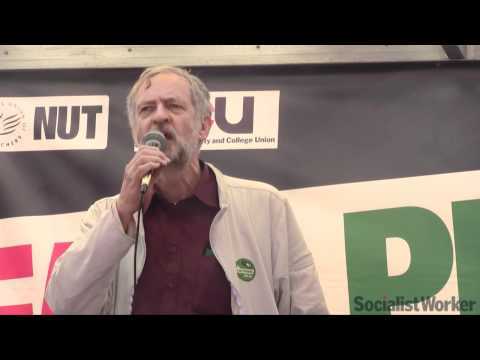 HE also voted to support a boycott of the Teaching Excellent Framework and support students unions organising against the National Student Survey (NSS). The HEC will meet in the next couple of weeks to decide the next steps. UCU Left calls for maximum practical solidarity with branches taking action over the summer and with the NUT. The Convention for Higher Education published an Alternative White paper for Higher Education in defence of public Higher Education. You can order your copy here. UCU Further education conference yesterday agreed to launch a serious national campaign to oppose Governments plans to reduce the number of colleges as part of area reviews. And to put forward an alternative vision that’s defends further and adult education, with a colleges at the heart of every community. UCU Fe also voted for a national ballot if employers (AoC) refuse our demands for £1 extra per hour for all, closing gender pay gap, ending casualisation and living wage. We leave UCU congress with a unanimous decision and united in pursuit of a campaign to defend education and pay. Now we have to go out and build the campaign. A key debate at conference supported the call for a ratification body to be set up to ensure any local agreements on pay and conditions work to level up conditions. Adult and Community Education brought forward five motions to raise the profile of ACE in the sector and the union, support smaller branches, and ensure participation in equalities and anti-casualisation meetings. A lot of important policy was passed on many issues facing members on issues including prevent, casualisation, professionalism and lesson observation, workload, equality, and more issues facing us and our students. There were three rule change motions by the University of Southhampton branch that were lost. These included rules to change the election system for regional executives, increase the threshold for calling special sector conferences and to impose local rules upon regions without facility for these to be amended. It was important for union democracy that these motions were defeated during debate. Thanks to Dr Liz Lawrence outgoing UCU President. Congress was united in congratulating outgoing President Liz Lawrence a standing ovation in recognition of the two years’ service she has given to members of the union. She stood as a UCU Left candidate for Vice President elections, during her presidency she has defended union democracy, and helped to ensure UCU is a campaigning union that puts the defence of education at the heart of all its work. UCU Left held a successful fringe meeting drawing half of congress delegates to our meeting with speakers opposing Prevent and from UCU, NUT, BMA, and EIS. We want to build active networks of all those who want to see a member-led campaigning union that fights to defend post-16 education and for social justice. Please contact us if you would like to hold a UCU left meeting in your branch or city, or if you would like to put in touch with UCU left members in your area. UCU left is planning a national conference for all UCU left members to attend. The provisional date is October 28th. Further details will be posted on the website along with details of nominations for UCU Left elections. Higher Education strikes in June and July. July 5th National NUT strike. October 8th National Stand Up to Racism Conference.